Yogurt is one of the most popular fermented foods, which is white, watery-thick and dense in appearance with a mild sweet-sour aroma and flavour. There are many stories revolving around the discovery of yogurt, such as it is supposed to have been accidental, a happy mistake made by early man attempting to store milk in a warm climate. 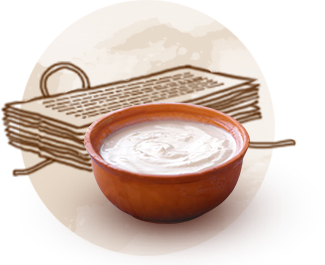 Yogurt appears in many ancient texts including the ancient Indian Ayurvedic scripts, the Bible and historic texts. Different styles or varieties of yogurt such as Greek, Balkan and Swiss, among others are available today. Plain yogurt is white, thick and dense in appearance with a mild sweet-sour aroma and flavour. 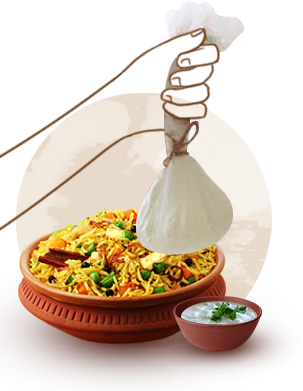 Yogurt is used to marinate vegetables, paneer and for various rice dishes including biryanis & pulao and also in curries & stews. In South Indian preparations, it is used to make bhajji, vada, kodbule, huli. It is also used for raitas and pachadis. 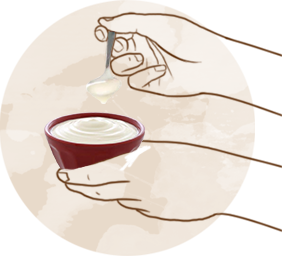 Hung curd is used to make the delicious dessert, shrikhand. Yogurt helps in digestion and in absorbing nutrients from other food items. It helps control blood pressure and cholesterol levels. It also helps strengthen the immune system and maintain bone health. Yogurt can also be used as a natural skin care product.